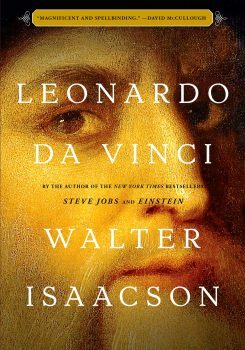 Walter Isaacson explains how Leonardo da Vinci achieved some of the Mona Lisa’s mysteries. The following is an excerpt from Leonardo da Vinci by Walter Isaacson. Dozens of experts have studied the Mona Lisa to determine the scientific reasons for this effect. One is that in the three-dimensional real world, shadows and light on a face shift as our vantage changes, but in a two-dimensional portrait this is not the case. Consequently, we have the perception that eyes staring straight out are looking at us, even if we are not directly in front of the painting. Leonardo’s mastery of shadows and lighting helps make the phenomenon more pronounced in the Mona Lisa. There is a mystery to the smile. As we stare, it flickers. What is she thinking? Our eyes move a bit, and her smile seems to change. The mystery compounds. We look away, and the smile lingers in our minds, as it does in the collective mind of humanity. Never in a painting have motion and emotion, the paired touchstones of Leonardo’s art, been so intertwined. At the time when he was perfecting Lisa’s smile, Leonardo was spending his nights in the depths of the morgue under the hospital of Santa Maria Nuova, peeling the flesh off cadavers and exposing the muscles and nerves underneath. He became fascinated about how a smile begins to form and instructed himself to analyze every possible movement of each part of the face and determine the origin of every nerve that controls each facial muscle. 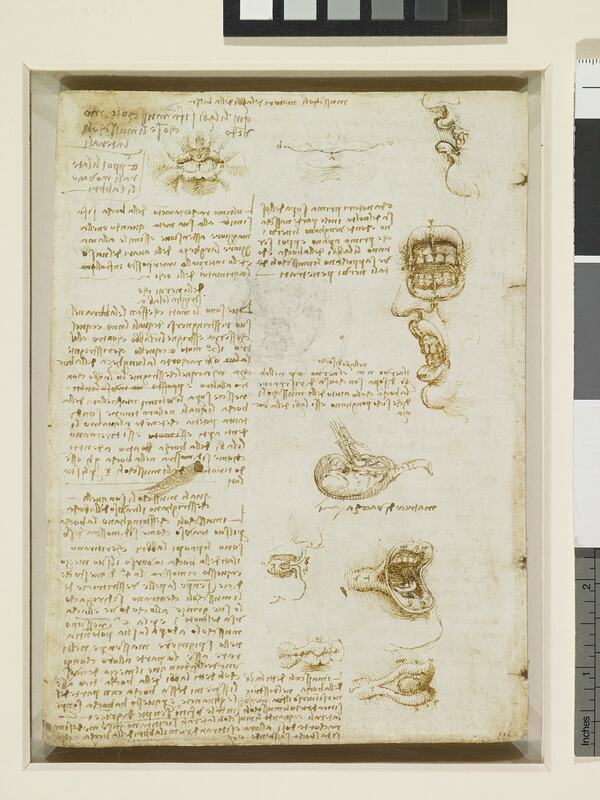 Tracing which of those nerves are cranial and which are spinal may not have been necessary for painting a smile, but Leonardo needed to know. Anatomical drawings of lips by Leonardo da Vinci. Image credit: Royal Collection Trust/© Her Majesty Queen Elizabeth II 2017. The Mona Lisa’s smile makes it worth revisiting the remarkable page of anatomical drawings from around 1508 that shows a pair of lips in an open-mouth grimace and then drawn pursed. The muscle that purses the lips is the same muscle that forms the lower lip, he discovered. Pucker your lower lip and you can see that this is true; it can pucker on its own, with or without the upper lip, but it is impossible to pucker the upper lip alone. It was a tiny discovery, but for an anatomist who was also an artist, especially one who was in the midst of painting the Mona Lisa, it was worth noting. Other movements of the lips involve different muscles, including “those which bring the lips to a point, others which spread them, and others which curl them back, others which straighten them out, others which twist them transversely, and others which return them to their first position.” Then he drew a row of lips with the skin layer peeled off. At the top of this page is something delightful: a simpler drawing of a gentle smile, sketched lightly in black chalk. Even though the fine lines at the ends of the mouth turn down almost imperceptibly, the impression is that the lips are smiling. Here amid the anatomy drawings we find the makings of Mona Lisa’s smile. There is other science involved in the smile. From his optics studies, Leonardo realized that light rays do not come to a single point in the eye but instead hit the whole area of the retina. The central area of the retina, known as the fovea, is best at seeing color and small details; the area surrounding the fovea is best at picking up shadows and shadings of black and white. When we look at an object straight on, it appears sharper. When we look at it peripherally, glimpsing it out of the corner of our eye, it is a bit blurred, as if it were farther away. With this knowledge, Leonardo was able to create an uncatchable smile, one that is elusive if we are too intent on seeing it. The very fine lines at the corner of Lisa’s mouth show a small downturn, just like the mouth floating atop the anatomy sheet. If you stare directly at the mouth, your retina catches these tiny details and delineations, making her appear not to be smiling. But if you move your gaze slightly away from the mouth, to look at her eyes or cheeks or some other part of the painting, you will catch sight of her mouth only peripherally. It will be a bit blurrier. The tiny delineations at the corners of the mouth become indistinct, but you still will see the shadows there. These shadows and the soft sfumato at the edge of her mouth make her lips seem to turn upward into a subtle smile. The result is a smile that flickers brighter the less you search for it. Scientists recently found a technical way to describe all of this. “A clear smile is much more apparent in the low spatial frequency [blurrier] images than in the high spatial frequency image,” according to Harvard Medical School neuroscientist Margaret Livingstone. “Thus, if you look at the painting so that your gaze falls on the background or on Mona Lisa’s hands, your perception of her mouth would be dominated by low spatial frequencies, so it would appear much more cheerful than when you look directly at her mouth.” A study at Sheffield Hallam University showed that Leonardo used the same technique not only on La Belle Ferronnière but also on the recently discovered drawing La Bella Principessa. So the world’s most famous smile is inherently and fundamentally elusive, and therein lies Leonardo’s ultimate realization about human nature. His expertise was in depicting the outer manifestation of inner emotions. But here in the Mona Lisa he shows something more important: that we can never fully know true emotion from outer manifestations. There is always a sfumato quality to other people’s emotions, always a veil. Excerpted from Leonardo da Vinci by Walter Isaacson. Copyright © 2017 by Walter Isaacson. Reprinted by permission of Simon & Schuster, Inc. All Rights Reserved. Get science images that will blow your mind with our newsletter, Picture of the Week. 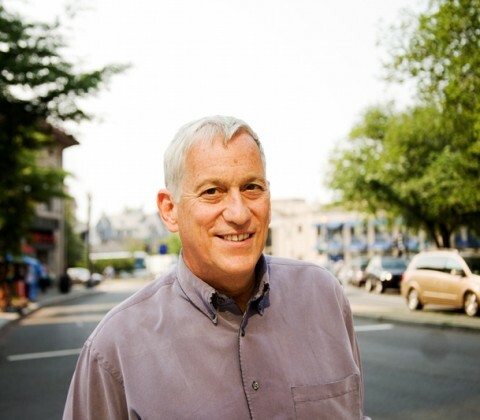 Walter Isaacson is author of Einstein: His Life and Universe (Simon & Schuster, 2007) and president and CEO of The Aspen Institute in Washington, D.C. This world-changing tool of immunization got its name from a cow virus.